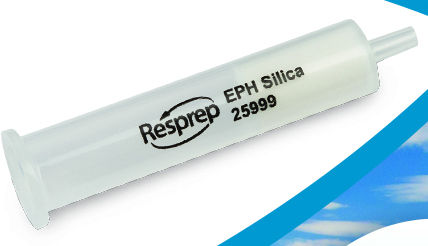 These high-performing SPE cartridges completely separate aliphatic and aromatic compounds into distinct fractions, and they are guaranteed to produce background levels under the strict reporting limits of MA and NJ EPH methods. Restek's standard 5g format cartridges are now joined by 2g format cartridges made from the same high-quality silica. While the 5g cartridges are recommended when higher loading capacity is required, the new 2g cartridges are ideal for automated systems or when time-saving and solvent reduction are desired. As always, the firm's rigorous QC testing and moisture-resistant packaging ensure storage stability and consistent lot-to-lot performance.